Iron Maiden have announced a new limited edition beer from their award-winning Trooper range. 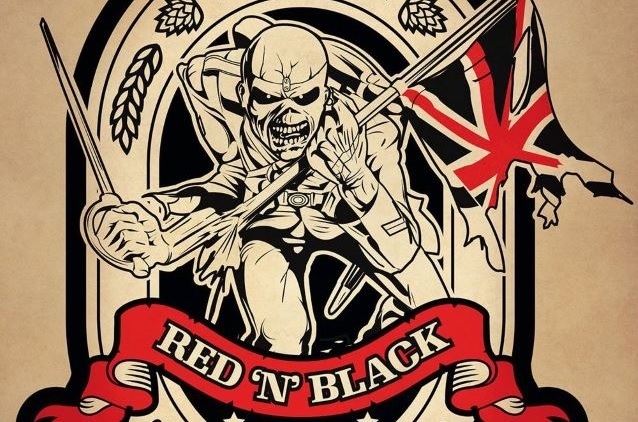 Available from September this year, Trooper Red N’ Black will be the third beer from the metal legends’ stable, following on from the success of the band’s original Trooper brew and last year’s limited edition Trooper 666. The beer, once again designed by Iron Maiden vocalist Bruce Dickinson and Robinsons’ head brewer Martyn Weeks, takes its inspiration from a very early Robinsons recipe from the 1850s, a time when porter style beer was becoming increasingly popular in Britain. Trooper Red ‘N’ Black uses a blend of chocolate and crystal malts which help give the beer a roasted malt and caramel backbone. Robinsons yeast, the same strain which has been used in the Stockport brewer’s beers since 1942, provides hints of both liquorice and honey to create a delicious warming brew. 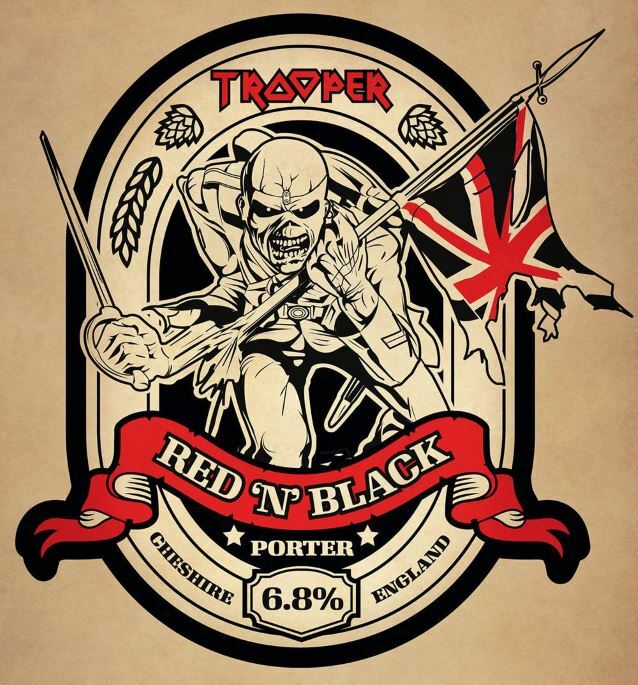 At 6.8% in bottle or 5.8% ABV in cask, Trooper Red ‘N’ Black is the strongest beer in the range to date. The brew takes its name from both the color of the beer, which glows red when held up to light, and the song “The Red And The Black” from Iron Maiden’s critically acclaimed 2015 album The Book Of Souls.